When PlasticLogic announced back in May that they were getting out of screen production and were instead planning to license their IP, I wondered what they were planning to do with their existing production capacity (a factory in Germany and a half-built factory in Russia). This week my pondering was answered when PlasticLogic announced a new partnership with SERELEC, a digital signage company based in France. 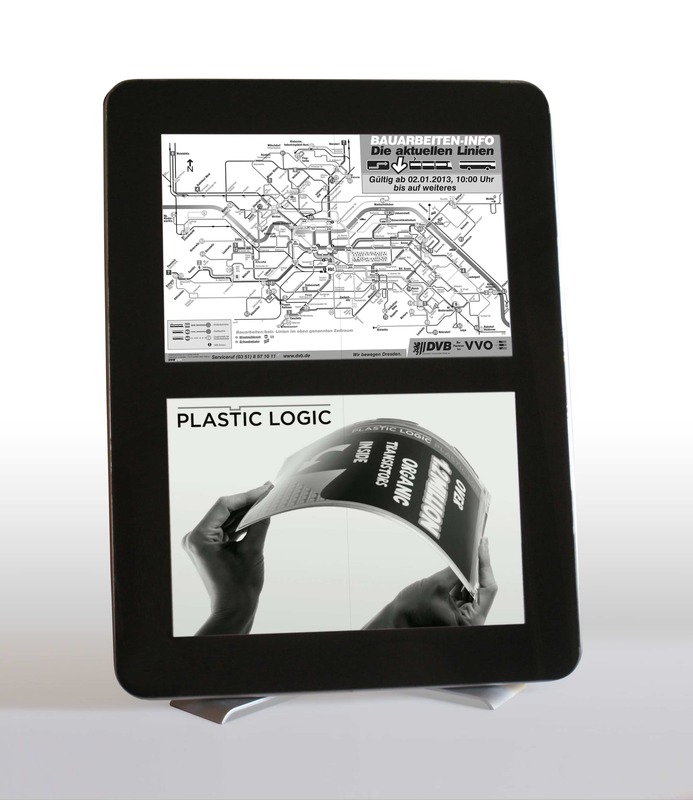 The ZED (Zero Energy Display) is going to use 2 of PlasticLogic's 10.7" screens. These are the same screens as on the ill-fated Que and on the dual screen typewrote I showed you at CES last month (video). This is a sign, not an ereader, and SERELEC is planning to pitch the ZED as working best in locations where power is an issue. Transit stops, some of which are currently marked only be a metal sign on a pole, would greatly benefit from a digital sign that could offer a lot more information. The ZED does still require power, but the demands would be low enough that it could be powered by a solar panel. And what's more, the epaper screens will be readily visible in as many lighting conditions as the existing un-powered signs. The ZED could in fact be integrated into existing solar/battery lighting systems found in some bus stops. My local transit system, OmniLink/OmniRide, long ago refitted most of the bus stops with partial enclosures which are lit at night. It would not be practical to add an LCD based sign to those bus stops but the ZED is another matter. What a pitty. I expected in the past this could be a new fantastic e-ink system.